Just a few links this week, since, well, I forgot about this post again. But they’re all book centric! Thanks to Anita Silvey following me on my Twitter, I found her wonderful website Children’s Book Almanac. Silvey has read literally thousands of children’s books, and each day of the year she posts a new recommendation. 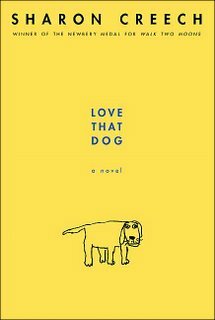 I’ve only been going to the site for a few days now, but I’ve already added two new books to my list, Rules by Cynthia Lord and Love That Dog by Sharon Creech (I’ve wanted to reach Love That Dog for a while anyway, but for the cover picture). It’s a great website for kid’s literature recommendations from an intelligent lady. Something else that came from Twitter, a chair that solves all my problems: Bookshelf Chair. I don’t know if it’s real, but I want it. Manga made it into the Eisner Awards! Naoki Urasawa has been nominated again, as he was last year, but some of my personal favorites (Bunny Drop, House of Five Leaves) have found their way onto the list as well. Anita Silvey’s Children’s Book-A-Day Almanac is indeed fantastic! An unmissable resource for parents. I make a daily pilgrimage to her site to check what I’ve been missing all these years! I love it. It’s a great resource for me, since I’m trying to write middle grade fiction.